I have some mixed feelings about Ayreon's Universal Migrator set. The concept itself is interesting and the music is up to the usual Ayreon standards. The major problem I have is why would you not release this as a 2-CD set and why must the two separate discs contain two distinct styles of music? In fact I even heard that Arjen Anthony Lucassen was even considering have only female singers on the first disc and male on the second. He decided not to do that because he couldn't find enough female singers. Why on earth would you do such a thing? Has Lucassen lost his mind? He apparently wanted to appeal to each of Ayreon's fan bases, the prog fans and the metal fans. Hogwash is all I can say to that. Regardless of the organizational nonsense that came from this set of albums, I still coughed up the money to buy both albums of the Universal Migrator, knowing full well that these would have been cheaper had they been issued in a single package. Do the words sell out come to mind? Oddly enough, the two albums that make up the Universal Migrator were finally combined in 2004. Go figure. The Dream Sequencer is the first album in the Universal Migrator set. The concept takes place in the distant future some time after the final war on Earth that was predicted by the blind minstrel Ayreon in the sixth century. 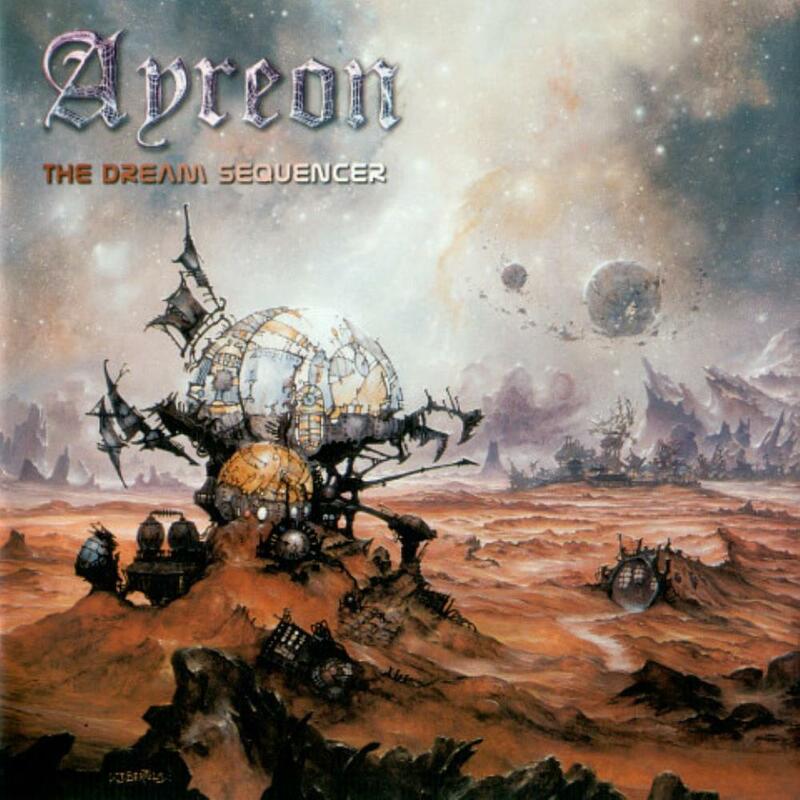 Ayreon's first album, The Final Experiment, details the story of Ayreon, so the concept is spread out over several albums. The last surviving human being, a Martian colonist, hooks himself up to a machine called the Dream Sequencer. This machine allows a person to travel back in time by way of hypnosis, for entertainment purposes. It also allows a person to travel further back than their own existence, thus giving the person the ability to experience past lives. Each song in progression is from a different era steadily going backwards in time. It first starts with the colonist's house on Mars, the war in 2084, the first man landing on the moon, and eventually leading back to the Druids and then the first man on Earth. The story then continues further backwards in time on the second CD of this set, Flight of the Migrator. The music on The Dream Sequencer is primarily atmospheric and mellow with many Floydian vibes, as opposed to the prog metal on Flight of the Migrator. The Dream Sequencer is clearly the stronger of the two. Again, like on previous Ayreon releases, Lucassen assembled an all-star cast of guest vocalists. However, each singer performed a song in a given time period, instead of individual characters like on Into the Electric Castle. Guests included Johan Edlund (Tiamat), Floor Jansen (After Forever), Lana Lane, Edward Reekers (Kayak), Mouse (Tuesday Child), Jacqueline Govaert (Krezip), Damian Wilson (Threshold, Landmarq), Neal Morse (Spock's Beard), Erik Norlander and Mark McCrite (Rocket Scientists). By itself, The Dream Sequencer is a very well done album, but of course it's left hanging and you have to get Flight of the Migrator to find out how it ends. The whole project would have been much better if it had been organized in the same manner as Into the Electric Castle, i.e. one package for the whole story. Still, I'm going to give this one four stars. I find I listen to it much more than its sequel and that's primarily because I only delve into prog metal from time to time. I prefer the atmospheric and mellower version of Ayreon, though with a good kick in a few places to keep me on my toes. If you're going to get this look for the combined version that came out in 2004.